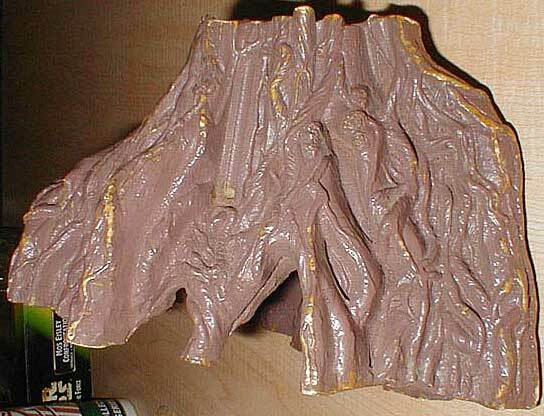 Very few hardcopies of Star Wars playset and vehicle parts have surfaced, a fact which makes this piece--a urethane casting of the Dagobah tree/hut--a pretty interesting piece. 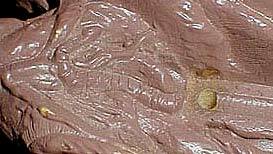 It's made of a tan urethane casting agent, a product generally referred to as Carbalon. 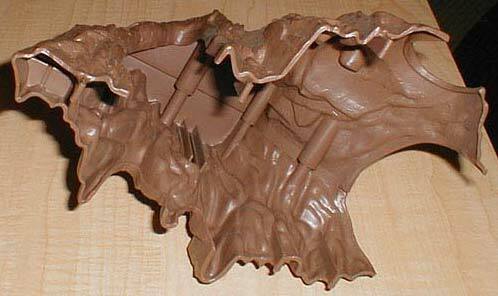 And, as you can see, it's been painted a brown color of a shade very similar to the plastic used to injection-mold the production piece. 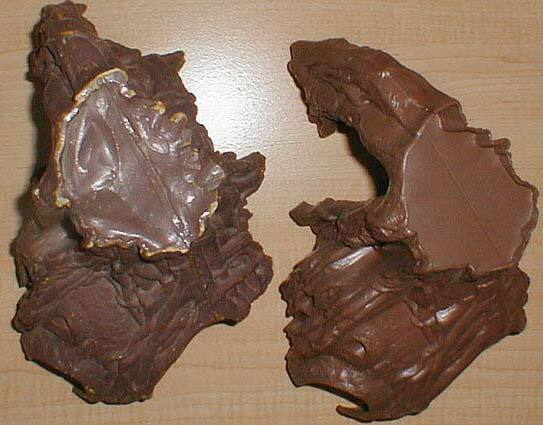 This suggests that it was used not to produce tooling, but rather as a display model of some kind. Here you see a shot of the hardcopy (left) beside the production piece. Notice how the slot for the movable limb, visible clearly on the plastic piece, has not been carved out of the hardcopy. A comparsion shot of the tops of the two pieces. As you can see, the seam, or "parting line," remained fairly consistent between the hardcopy and production stages. The bottom of the hardcopy is unfinished. 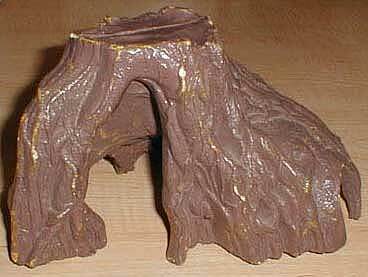 In fact, it looks as though it was hollowed out to a certain extent using a grinding tool. 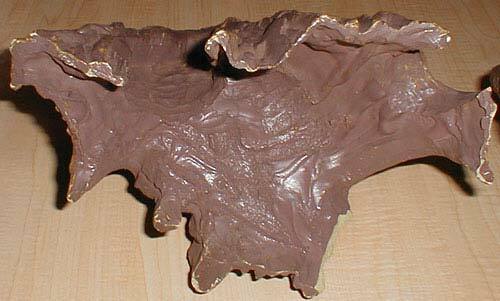 The rough nature of the hardcopy's interior becomes fully apparent when it is compared to that of the production piece, which is outfitted with a system of joints for connecting the two molded plastic halves. 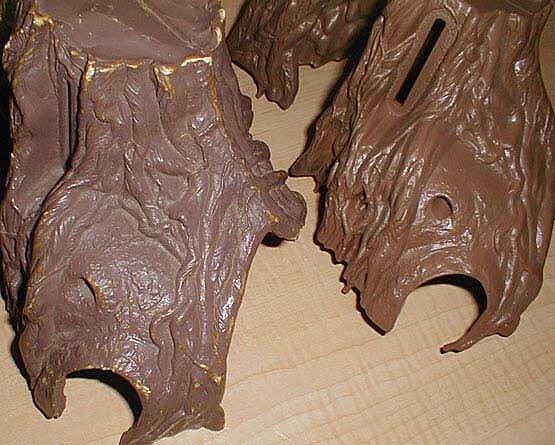 Finally, we have two closeups of one of the Dagobah playset's more interesting details. The craftsman who created the original wax sculpture of this piece had a daughter named Emily. He managed to spell her name out among the gnarled features of the old tree, just below the aforementioned slot for the movable branch.